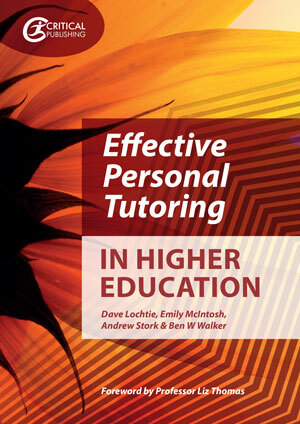 This is an important new text for all academic and professional staff within higher education (HE) who have a personal tutoring, student support or advising role. It examines key topics in relation to tutoring including definitions, coaching, core values and skills, boundaries, monitoring students, undertaking group and individual tutorials and the need to measure impact. Throughout, the text encourages reflection and the need to think critically about the role of the personal tutor. A scholarly and practical text, it comprehensively brings together relevant academic literature to inform tutoring practice as well as contextualising the role within the HE policy and quality assurance landscape. Chapter 1: What is a personal tutor?